They are the ethereal wispiness of wishes past and present and a grasp on what we hope will be coming in the future. And as writers, we carry many dreams in our pockets, taking them out one by one to polish and perfect, admiring and loving before slipping them back into our pockets. Dreams are fulfilled and sometimes discarded, but we are always left enriched for having them. 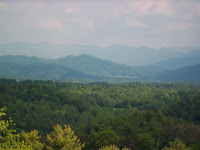 Pepper brings to us a quick snap shot of tips from the recent Blue Ridge Mountains Writer's Conference on Monday. Tuesday with Sherrinda is all about when life gets in the way and you have to put a short "hold" on your writing. You must gain a reader's trust and on Wednesday, Mary has tips on how to keep and maintain that trust to keep them turning pages. Sometimes simply doing a random search of your WIP is not enough. Casey has a few tips on her Thursday post to help spot the problem areas in your body language. Krista shares on Friday the importance of your finances and managing them along with the writing dream. Congratulations to Angie who has finaled in the Touched by Love contest!! The ACFW Conference is open for registration and several Alley Cats are going! Are you? And congratulations to Pam Hillman who recently sold her first novel, Saving Jake!!! Sounds like a great week--can't wait to join in the discussions! Looking forward to seeing you Joanne! Tried to comment, but now I don't think it went through. Thanks for the shout-out, Casey! And congrats to Angie for finalling in the TBL!